Injen PF Series Power-Flow intake systems are engineered to the highest standards, utilizing the latest technology available. Incorporating Injen's own patent-pending MR Technology, these cold air units are the world's first tuned intake systems on the market! They ensure the highest horsepower and torque gains within the safe factory air/fuel ratio limits. Power-Flow intakes deliver a blast of oxygen at the perfect moment for blazing combustion and gut-wrenching power output, placing your motor on a steady diet of colder, richer oxygen. The process starts with the high-flow air filter's integrated air inducer, air stabilizer, and velocity stack. Fresh air is drawn in, smoothed out, and then pressurized. From there, the oxygen flows through the Mega Ram-tuned pipe, where it's released to the mass airflow sensor at calculated intervals. Each kit goes through a rigorous dyno-testing process and is fine-tuned to unleash ferocious performance across the rpm spectrum. Injen Power-Flow intake systems bolt on without any drilling. This intake has a blue filter and a polished pipe. 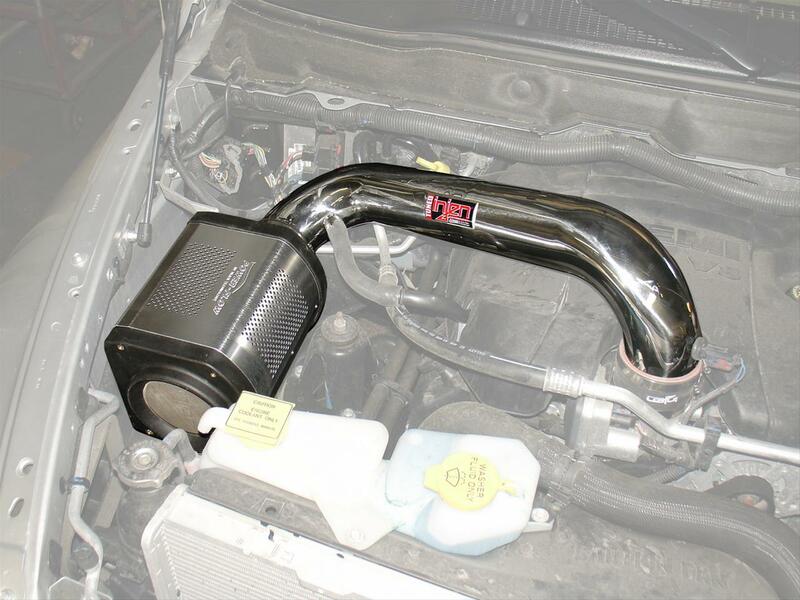 We also offer custom powdercoating for this intake system (Pipe only). If you want it powdercoated, you must select the powdercoated option from the drop down menu, then select your color. Please allow 2-3 weeks for additional shipping and powdercoating time.